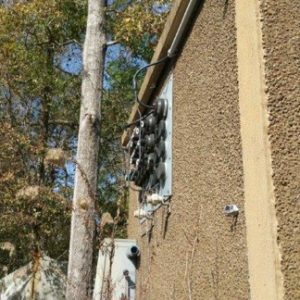 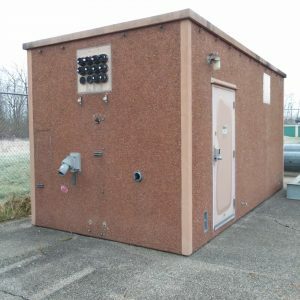 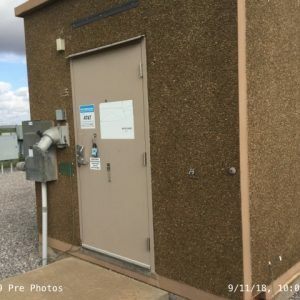 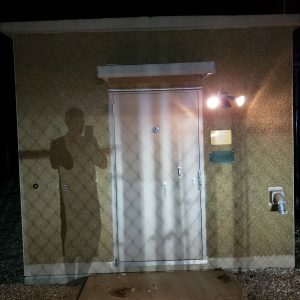 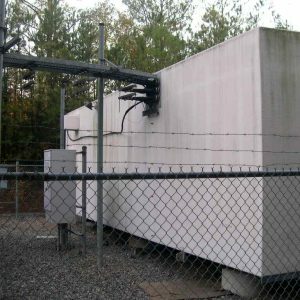 Equipment Shelters - UsedShelter.com - Used Telecom Shelters & Cabinets for surplus/bargain prices! 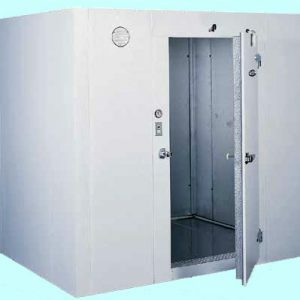 Tower Direct offers a large variety of structural equipment shelters. 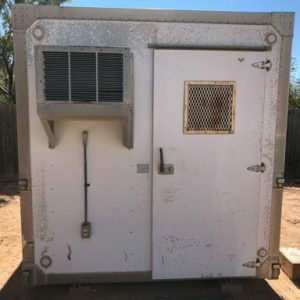 New, used, and surplus shelters are available in various configurations from walk-ins to stand-alones, double-wides, vaults, and co-location shelters.Choose from a wide range of structure sizes, from small-profile 67″ x 67″ x 7″ to larger units in the range of 24′ x 36′. 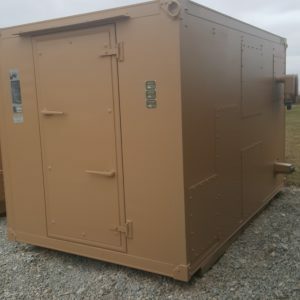 Inventory includes shelters from many brand-name manufacturers like Gichner, ROHN, Thermabond, Andrew, Firebond, CellXion, Versaflex, Kullman, Sun, VPF, and more. 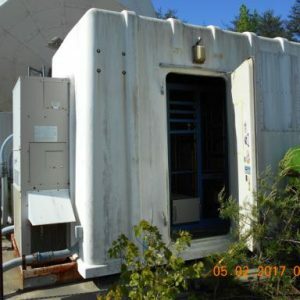 These companies produce shelters for telecom and other industries whose equipment requires all-weather shelter. 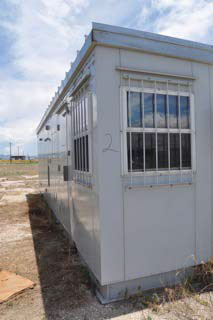 Many of the shelters are designed and/or fitted to be fully secured against casual access. 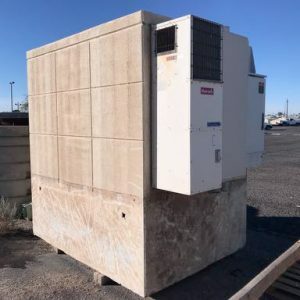 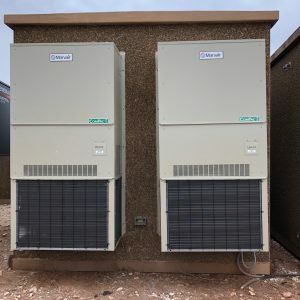 Some structures include heating and/or AC systems, generators and ATS, AC units with controllers, and other equipment. 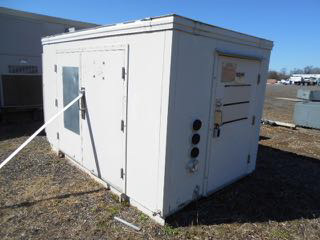 Inventory includes new, never used shelters as well as surplus and used shelters. 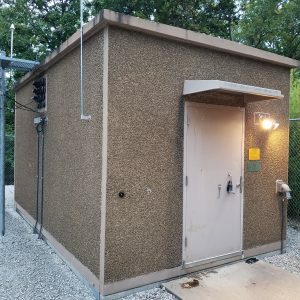 Shelter construction options include concrete and aggregate – well suited for areas where higher-level security is needed (some units are 1 and 2 hour fire rated and bullet resistant). 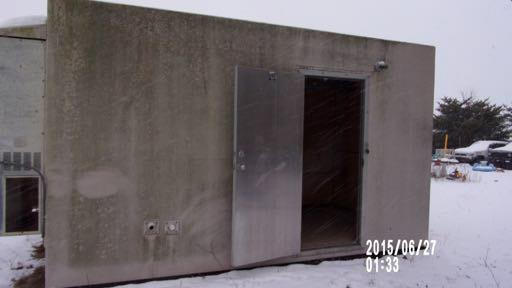 Other shelters are made of lightweight aluminum, structural steel, orfiberglass. 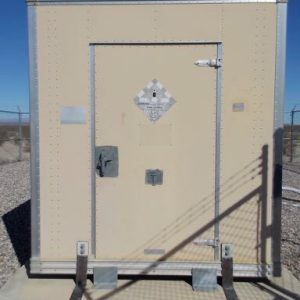 All Tower Direct shelters are available at impressively affordable prices. 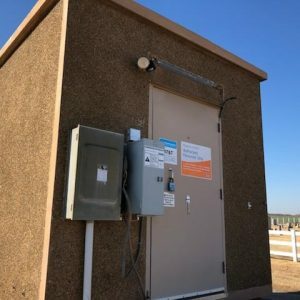 Many municipal, private, and public industries have learned the value of equipping projects with used, surplus, and even new equipment and shelters from resources like Tower Direct. 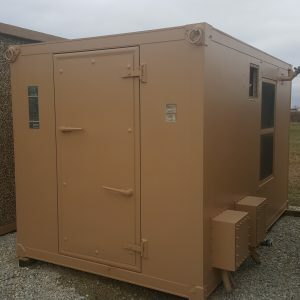 Some of the available shelters may be placed and put into service with little or no significant modifications. 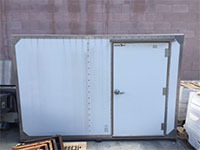 Others can be easily retrofitted to accommodate new uses. 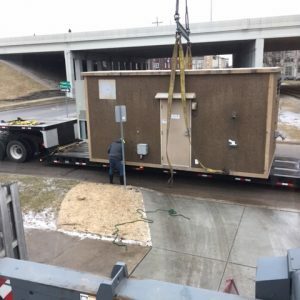 Inventory is continually changing. 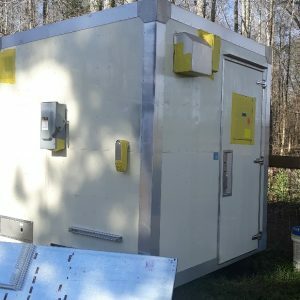 Some shelters are available at volume and other special pricing rates. 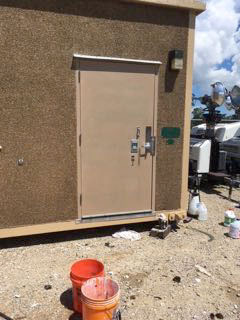 Other shelters are one-of-a-kind, sold by the each. 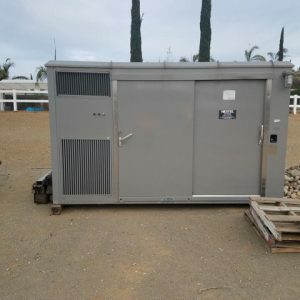 Browse the selection of current offerings and contact Tower Direct for additional details and quotes.